Caretel Inns of Linden will be opening their doors Thursday January 31st, 2019 as a warming shelter from 8 a.m. to 8 p.m. 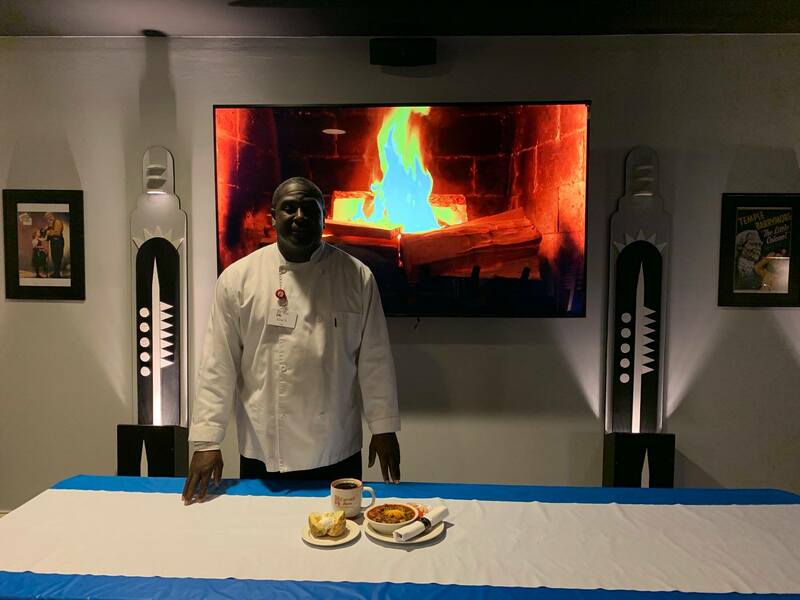 The announcement invites those in need of a warm place to come and stay warm and enjoy hot Starbucks Coffee, food, and snacks. 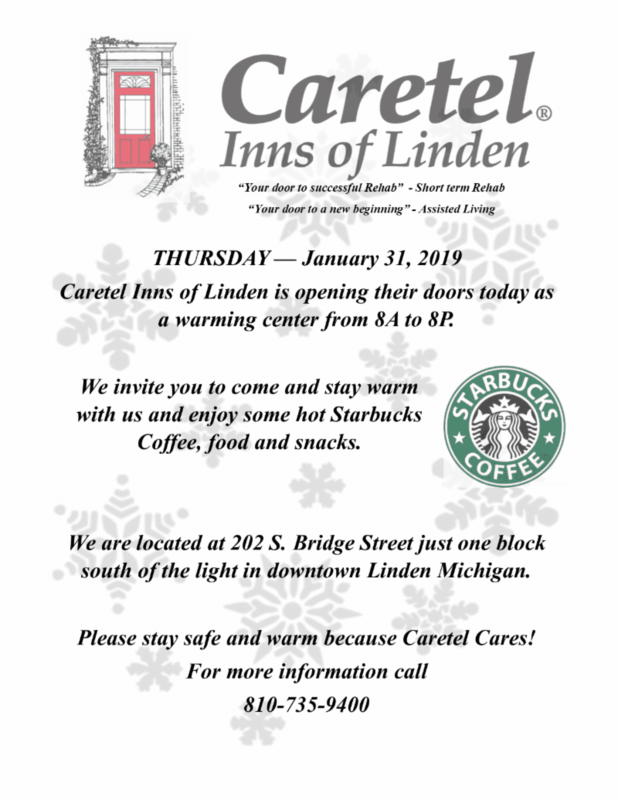 Caretel Inns of Linden is located at 202 S. Bridge Street just one block south of the light in downtown Linden, Michigan.